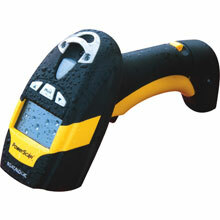 Datalogic PM8500 - USB Kit, 2D Imager, Standard Range, No Display or Keypad, 910 MHz, Removable Battery. Includes Base Station (Part# BC8030-910), USB Cable (Part# CAB-438), Power supply, and US Line Cord. The Datalogic PM8500-910RK10 is also known as Data Logic	DTL-PM8500910RK10	or PM8500910RK10	.